Working hard for a skinny body? If yes, then indeed, you are badly ‘craving’ for quick and lasting outcomes. Well, if your desire for a beach-ready body has dragged you here, then we have some very useful information to share with you! First of all, we would like you to drop the idea of fad diets in the first place. Programs like these have short term effects and are not at all a healthy approach. Remember, if you choose to slash your extra lbs in a safer way, than a balanced diet and workouts are the key to success. Weight loss is more like a game that is based on calorie consumption Vs calorie burning. According to an expert, if our body can burn 400-600 more calories than the amount we consume daily, then we can simply shed around 2 lbs a week. And for that, the rule is simple! Eat in moderation and do not forget to work out regularly! The approach to restrict starches and salt is pretty effective in the beginning, however, it only helps to lessen fluid retention and has nothing to do with fat loss. For effective weight loss, you need to consume a diet that is low in added sugars and starches. Besides, the diet should also restrict animal fat for speedy and definite cutting of weight. 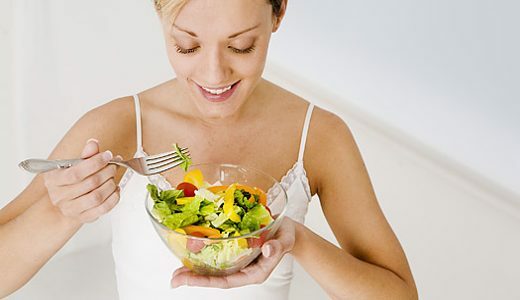 Increase your vegetable intake for this help to give you a feeling of satiety. Take as much as water, possible. Keep yourself busy and active. It will keep your mind distracted and will somehow overcome the constant urge to eat. Free your surroundings from tempting food items. Use a smaller plate for meals and avoid unnecessary ‘trips’ to the fridge. Do not even think of skipping meals? Penning down, what you have taken and in what quantity, is a good way to keep yourself motivated. Experts believe that it is one effective way that constantly reminds you of your goals and encourages you to focus more. Must See: 7 Healthiest Foods That Help You Lose Weight Fast! When it comes to ‘definite’ weight loss, exercise is something that holds equal significance of that of healthy eating. No doubt, it is a complex process, a process that demands an hour of moderate workout every day, without a gap! For weight loss, focus more on strength and cardio training. As mentioned earlier, weight loss is about calories consumed Vs calories burned, and for the burning of calories, the best you must do is cardio! Cardio is extremely effective for fat burning, however, it should be followed by strength training for more, impressive results. People who have some chronic condition or are excessively overweight must first consult their health care provider for more expert advice related to their case. Those who are working out for weight loss must pace themselves. But this does not mean that they should hurry and overstress their body. As known, over-workouts increase the risks of injury. Adding more and more intensity to the workout is a proven formula to succeed. We suggest you perform interval training so that you can train your body without stressing it much. Interval training is the best to shed weight, as with it, your body becomes more capable of burning calories over time. The more you perform, the faster you are likely to waste it. As mentioned earlier, programs like these merely act to worsen up your problems, particularly the ones that encourage the usage of laxative, detoxification pills, etc. Besides, diets that involve fasting and portions must also be avoided as approaches like these can deprive your body of some very crucial nutrients it needs to run smoothly. Something that promises instant and ‘massive’ results is sure, an unhealthy mean to slim down. This may work in the short-term, however, the problem will surely return along with several others in the future. A loss in muscle mass. All in all, fad diets are the worst you can do to yourself. Thus, always go for the safer approach to getting in shape. That is, eat healthily and keep moving in the gym for a healthy and slimmer body, lifelong.